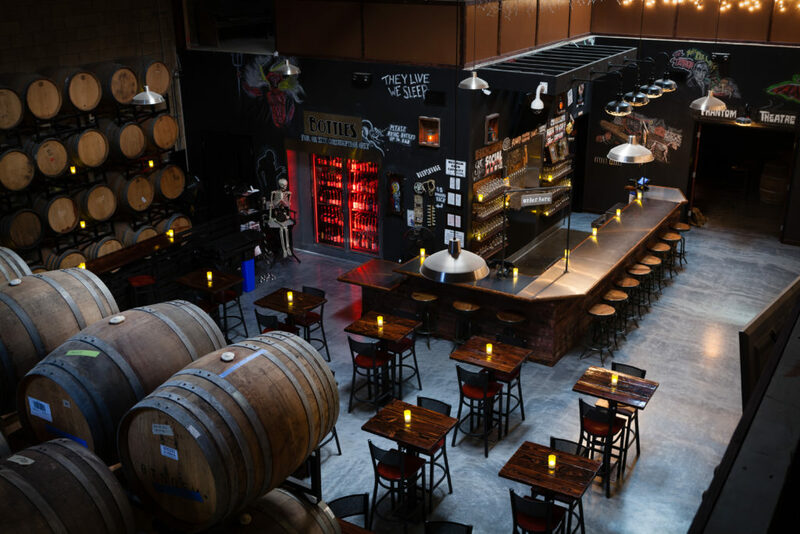 While fans of horror are used to getting together and meeting others of their kind at comic cons, horror conventions and a dwindling number of video stores nationally, a craft brewery in California, is providing a fresh venue for lovers of the macabre to celebrate scary movies. Martin Svab, founder of Phantom Carriage Brewery in Carson, California, was born on Halloween, setting him on the path to a lifelong connection with horror and the macabre. When he decided to start brewing beer professionally, he knew he wanted his brewery’s taproom and branding to celebrate his favourite genre, and provide a spot his fellow likeminded horror fiends could feel at home. Phantom Carriage is named after the eponymous 1921 silent Swedish horror film that inspired Ingmar Bergman, director of dread-filled films like The Seventh Seal and Hour of the Wolf. In The Phantom Carriage, the last person to die on New Years Eve must drive a carriage collecting the souls of all those who die during the following year. 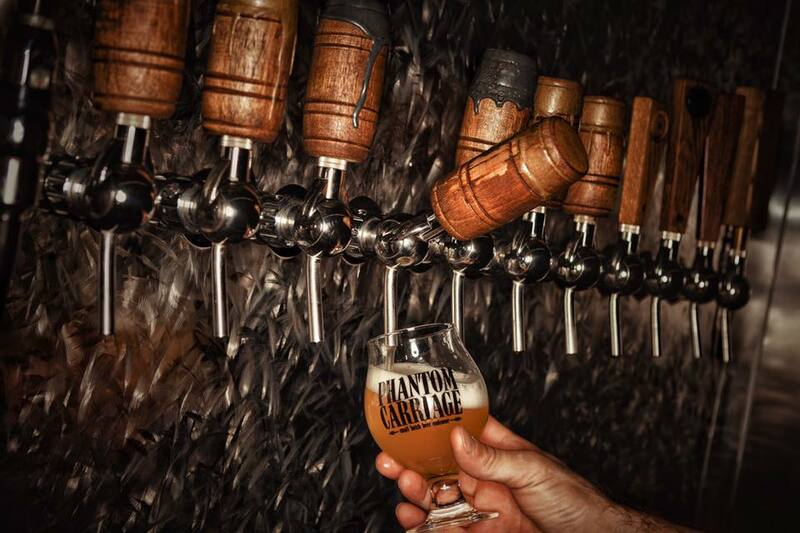 Phantom Carriage Brewery, however, is very much alive and thriving. The horror theme extends to the brewery’s beer line-up, which includes beers named for genre notables like Rathbone and Bergman. Phantom Carriage has even formed a relationship with Bela Lugosi’s family to license the iconic actor’s name for an annual October bottle release party. This isn’t their only direct connection to horror royalty either. Svab has worked with Victoria Price, daughter of legendary actor Vincent Price, to stage a beer dinner using the late actor’s own original recipes paired with Phantom Carriage beers. Svab worked in film production for years before opening Phantom Carriage, and is passionate about movies both as a producer and a fan. Phantom Carriage has a small movie theatre in their taproom showing horror movies from open to close every day. On Wednesday evenings, the brewery hosts a special screening and gives away free popcorn. Most of the screenings are for out-of-print VHS horror from the 80s like Elves, The Brain, or The Mulitator, and Svab has worked with the esteemed horror house Scream Factory to show many of the label’s archived films. While he lists many established genre classics among his favourites—Re-Animator, Evil Dead 2—he has a special affection for the films he got to see for the first time on VHS, like Microwave Massacre and Color Me Blood Red. 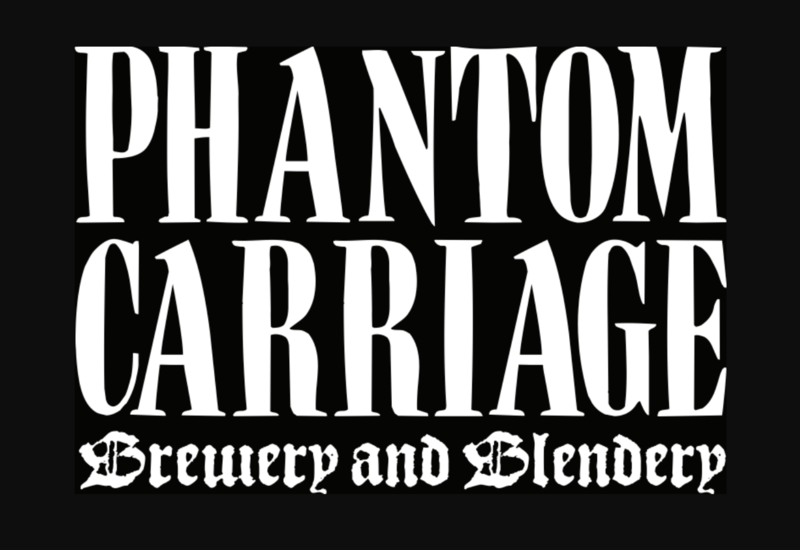 Phantom Carriage is a must-visit for horror fans who enjoy a pint of good beer. The taproom has about half a dozen of their own beers on tap at any given time, as well as dozens from respected guest breweries. The kitchen serves a full menu (dishes carry names like Creature Dip and White Zombie), and the brewery can be rented for private events. The taproom is open till 10 pm through the week and midnight on Friday and Saturday, with limited Sunday hours. Great read on a brewery that I have been following from the beginning. Sadly, since I haven’t had the chance to fly out that way since their opening as yet. I did however had the opportunity to enjoy some of Phantom Carriage’s brews last week in Tampa a part of Cigar City’s annual beerfest, Hunahpu Day! Of course heightening my interest to a future visit!